The Ver Junior League knockout event has now been completed for the year, with the finals of both the Ver Shield and the Ver Plate being played over recent weekends. The event is one of the longest standing continuous and prestigious junior team events in the region and has always been an inter county event with various clubs from outside of Herts taking part. The event always starts with 16 clubs playing a two legged tie, both home and away, with teams of 7 juniors a side playing 18 hole matches of singles handicap matchplay. Once the first round is completed the winners progress into the 2nd round of the Ver Shield and the losers drop into the Ver Plate event. This year the final of the Ver Shield was contested between West Herts and Essendon. West Herts were the defending champions and was the 4th Shield final they had reached in the last 6 years. Essendon however also have pedigree in the event with them being crowned champions in 2015. The 1st leg was played at West Herts on Saturday 3rd November and saw the home team take a narrow lead into the return leg 4 to 3. The 2nd leg was played last Saturday (10th Nov) in thoroughly appalling conditions, with driving rain all afternoon. Thankfully the match managed to played to a conclusion and saw another tight match and ultimately a 3.5 all draw which saw West Herts just pip Essendon to the win and retain their Shield trophy. The final of the Ver Plate this year was contested between Hadley Wood and Beadlow Manor of Bedfordshire, with Beadlow having a track record in this event winning back in 2016. 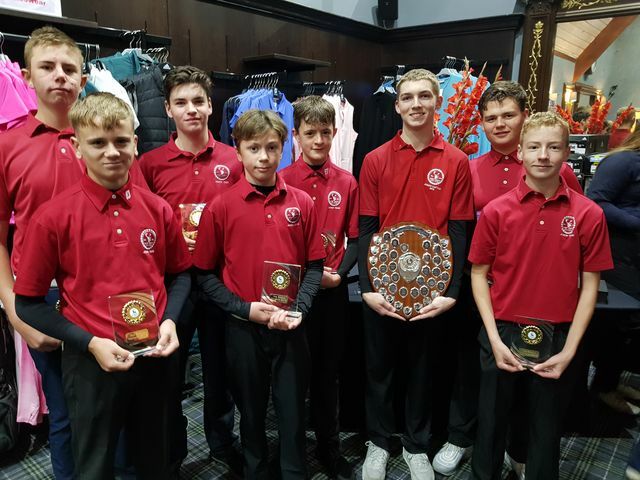 The matches were played over the weekend of the 3rd and 4th of November, with the Saturday match taking place at Beadlow Manor and the Sunday tie at Hadley Wood. The matches were played in great spirit and thankfully in excellent weather and resulted in another narrow encounter with Hadley Wood emerging the winners 8-6 overall. Our thanks go to all the competing teams this year and hope that all the juniors who took part enjoyed the experience of some level of interclub and intercounty competitive golf. Please click on the below to view the full finalised draw and results sheet.